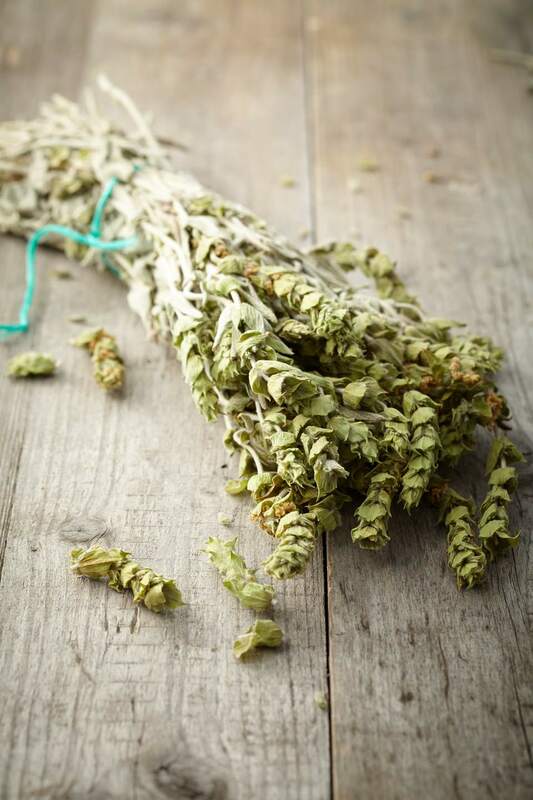 Greek Mountain Tea is made using the dried leaves and flowers of Sideritis plants (ironwort). The tea is aptly named: The plant used to make it is found on rocky slopes at elevations over 3,200 feet. These plants are hardy flowering perennials that have adapted to survive with little water and little soil. Only one variety of this plant, Sideritis raeseri, is cultivated, typically in Greece, Albania, Macedonia, and Bulgaria. Sideritis raeseri is also gathered in the wild in these regions. The tea made from Sideritis raeseri is credited with easing a wide range of physical ailments. On Crete, the common name for Mountain Tea is malotira, and almost every region of Greece has its own name for the brew, such as Olympos tea and Parnassos tea, reflecting the name of the mountain where it grows. The most common English name other than Mountain Tea is Shepherd's Tea because Greek shepherds use the plants to make a brewed tea while tending their flocks high in the hills. The tea contains high levels of antioxidants and large amounts of essential oils, flavonoids, sterols, and other phytonutrients. Place 12 ounces of water in a pan on the stove for a 10-ounce (1.5 cup) serving of tea. Some of the water will evaporate. Bring the water to boiling. Add a handful of dried leaves and flowers to the pan for every 1.5 cups of water. Allow the tea to boil for 3 to 5 minutes depending on your strength preference. Remove the pan from the heat and let the tea steep for another 3 to 5 minutes. Drink plain or with honey or sugar. Serving suggestion: Serve Mountain Tea at breakfast or before retiring at night with Kalamata olives, feta cheese, and crusty bread. In Greece, the tea is sold in grocery shops, pharmacies and herb-and-spice shops, or it can be picked fresh and dried at home. Outside Greece, it is sold as "Greek Mountain Tea" or "Greek Mountain Shepherd's Tea" at specialty shops, and it can be found online. Mountain Tea is enormously popular in Greece and is brewed most often in winter when levels of physical activity decrease and colds, aches, and pains increase. It is said to have a positive effect on almost anything that ails you, but mostly it is used to combat colds, respiratory problems, indigestion, and mild anxiety. It is said to bolster the immune system and is valued for its antioxidants, as an anti-inflammatory and to reduce fever. Greek grandmother’s rule: At least one cup a day. Here's to your health!